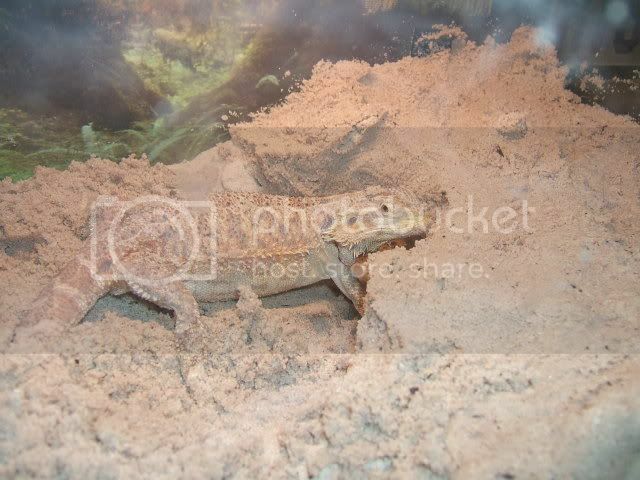 Chaos a orange sandfire female bearded dragon, she is digging in the sand to lay eggs. This is a 09 photo. 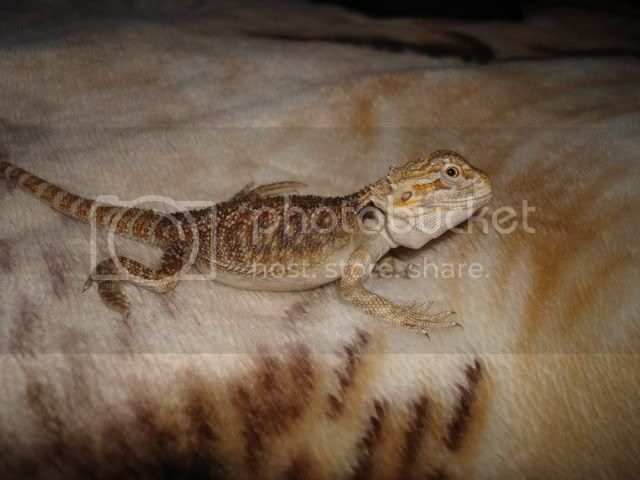 Taz a orange sandfire x citrus sandfire bearded dragon, His mom was Chaos and dad was Dragunz. 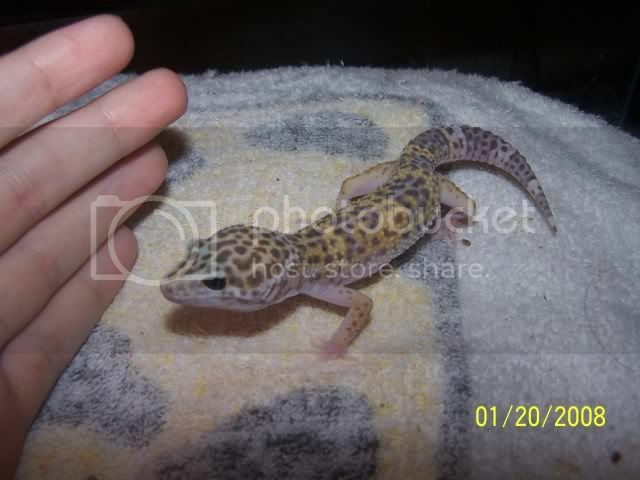 He was saved from a fire and gave back to me. Last edited by DragunzGirl; 03-18-2010 at 07:06 PM. 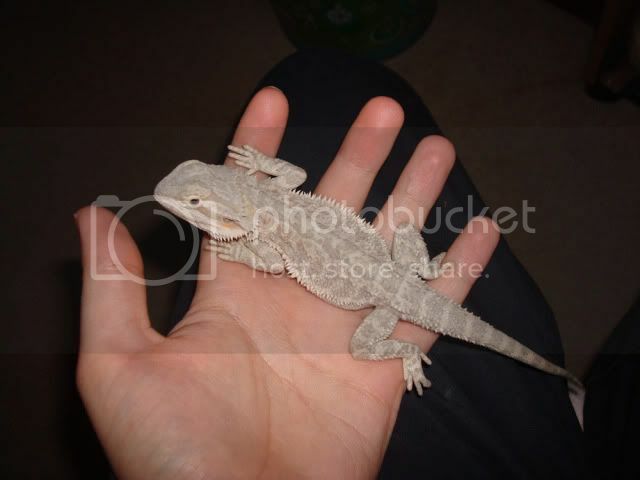 I used to have a couple of leos,one was a blizzard and the other was a "normal".I love beardies and snakes! Why is the turkey rainbow? Did your boa eat it? Poor little guy! 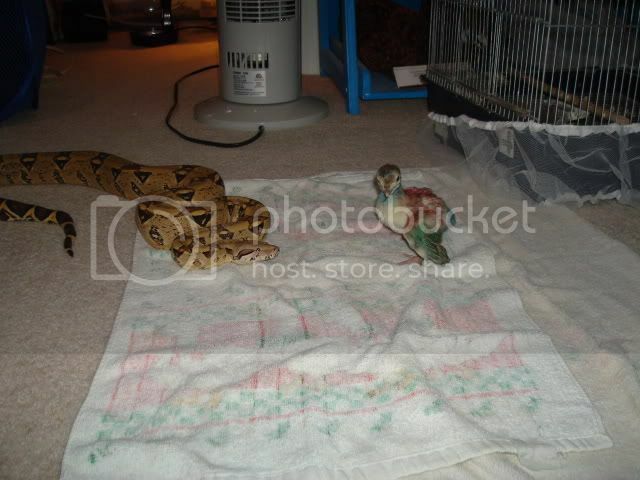 The boa eats chicken but i only had a baby turkey at the time so i colored him to be the birthday cake for my boa's 1year birthday. And yep he ate it. 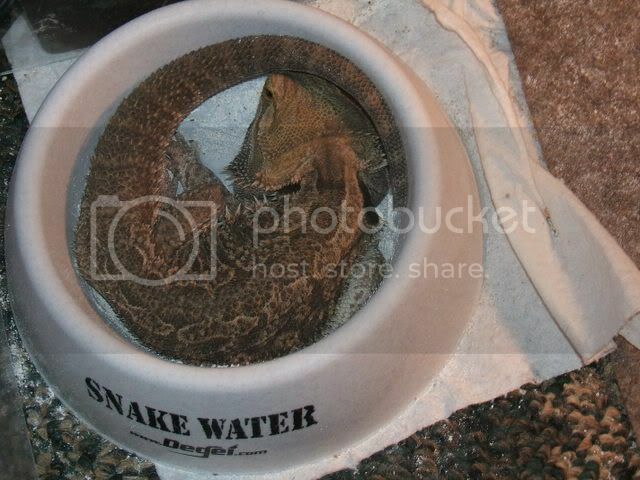 I know that snakes gotta eat... But thats really sad! well i guess you can think of it this way, so many turkey and chicken die each day to feed human... At least this turkey had a good life before the end. Most chicken and turkey never have a life before there killed for human food. i only eat farm chicken and turkey from my friends farm. I dont buy any bird from a store no more. Do you feed live all the time? 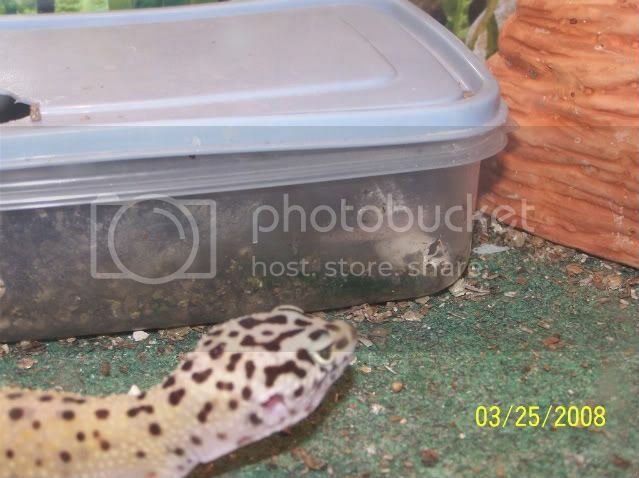 Do you raise/breed your own food for your snake? 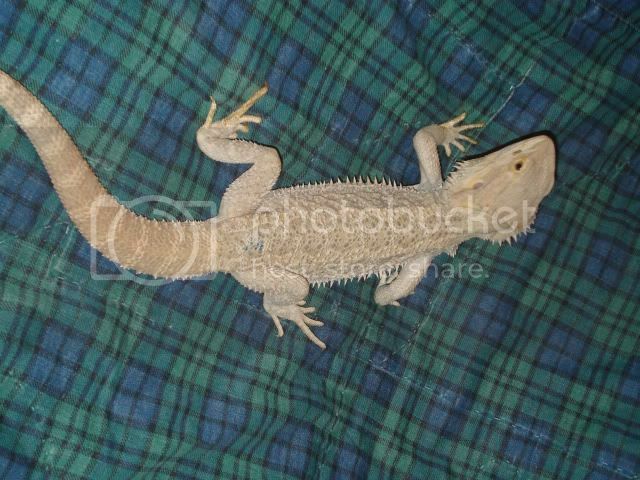 And do you breed your beardies?Just wondering, cause you have so many! Theyre all super pretty! 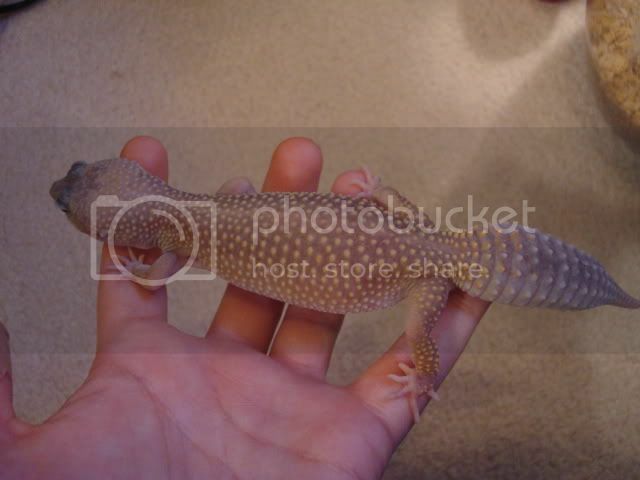 I love luecistics, and I really want one. 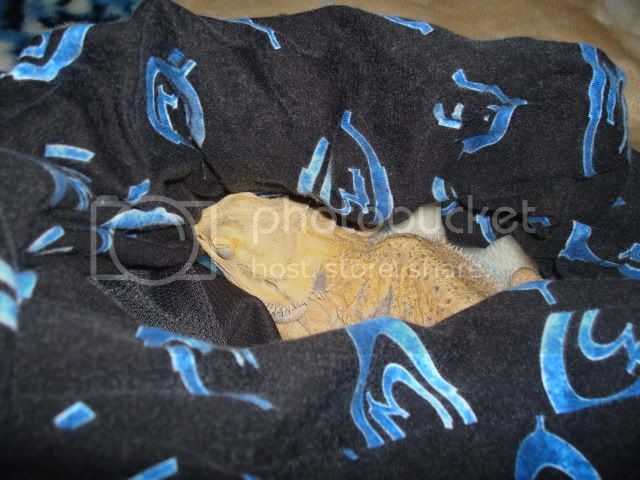 You so luch to have all those beardies! 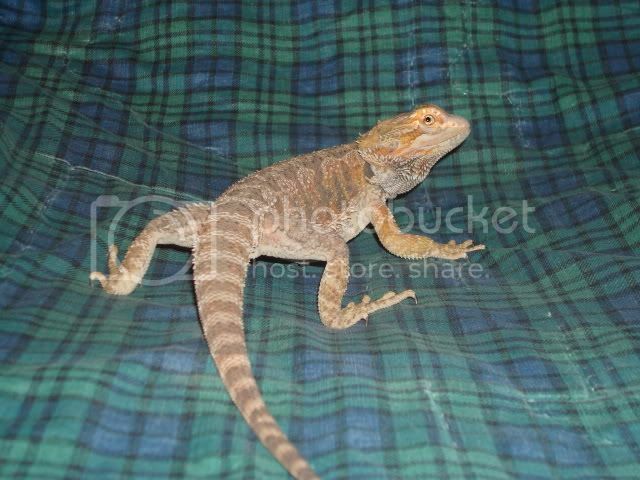 I have a little 8 month old beardie named Wink that I rescued. They have quite the little personalities! Yep i breed my own food for my pets. I breed hissing roaches, meal worms and mice. 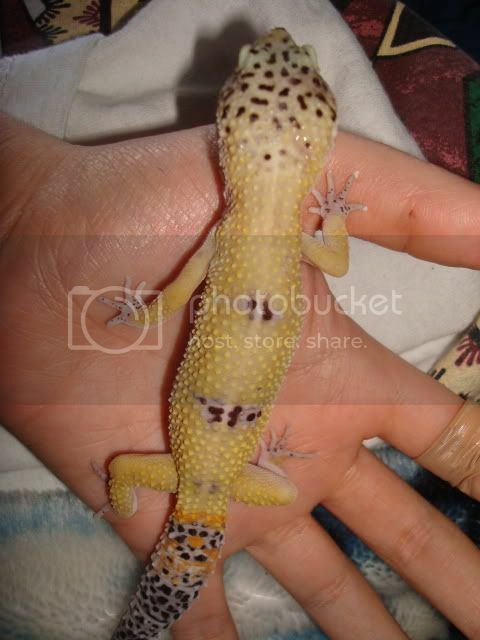 I also breed leopard geckos and bearded dragons and zebra finches. Only thing is i only have 2 female dragons right now that can breed. 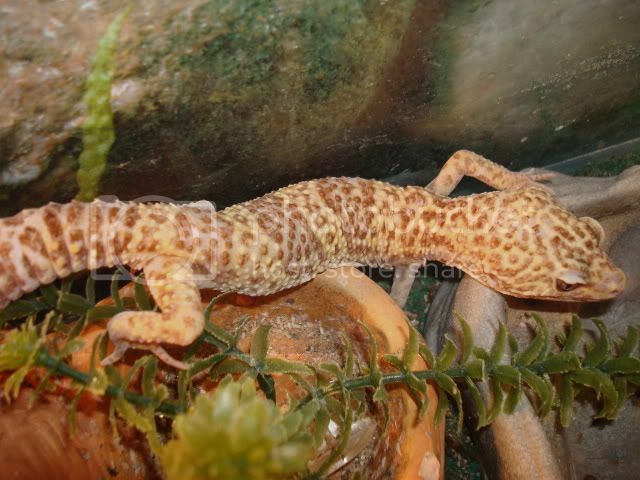 And i only have 2 female leo's i can breed at moment. Out of all of them lol. 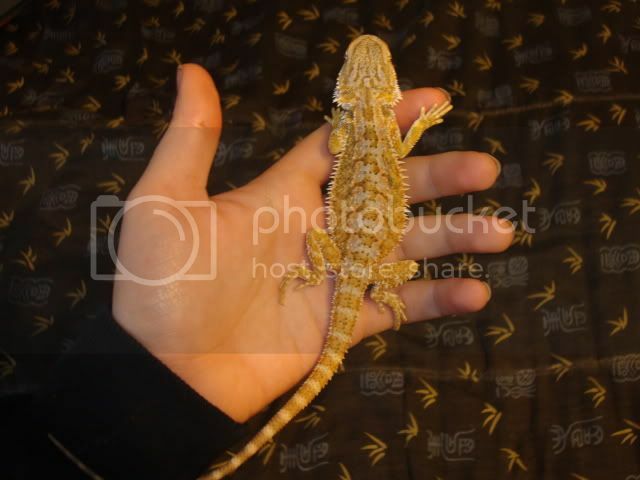 also the luecistic dragon I only paid 70 for him at a rep show I want a female to pair with him but all i can find is ones around 200 and im like WOW to high lol so im going to go to a rep show in a few months..
No, mice i prekill. Chickens i most of the time prekill and freeze them for latter. Some times when i get fresh chicks or turkey i feed one or two to Kiba than prekill and freeze the rest for latter. But with mice i always prekill. When i was a young kid i fed a live mouse to my BP and left the room. I was so young i did not know the mouse could do any harm. 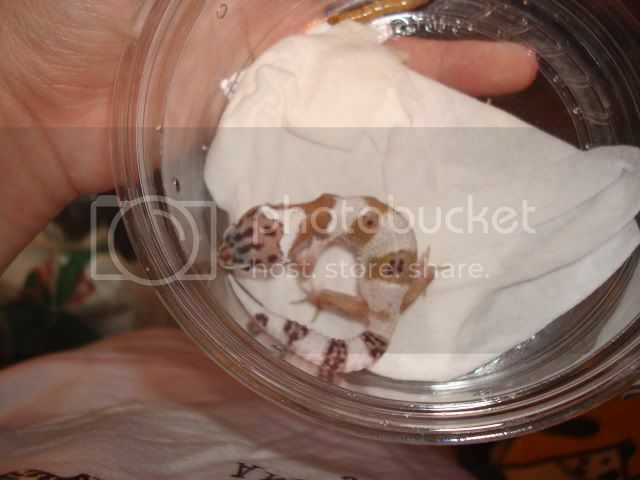 And when i came back my BP was dead and the mouse was eatting him. So i Always prekill mice. Last edited by DragunzGirl; 03-18-2010 at 09:13 PM. That's good. It seems that a lot of reptiles don't understand the dangers of live foods, plus the cruelty and suffering that the food item suffers.